I'm currently in the midst of producing a 30 minute radio piece on the subject of death. To be more specific, I'm exploring contemporary attitudes towards death and doing so through the perspective of those who deal with death on a daily basis. Part of my project took me to the basement of the Royal Sunderland Hospital where I spent the day exploring it's mortuary with pathologist Dr Stuart Hamilton. Recently, as I was listening back to his interview I begun to find myself fixated on a particular section, in which he discusses the way in which he views the human body. He describes his view of life as being very 'mechanistic' and as I listened to him talk about the body as 'pumps' and 'shunts' I was inspired to compose a short piece from his words. As a biologist myself, I have always considered the human body to represent a beautiful feat of natural engineering. From the minute intricacies of the inner ear to the extent of the circulatory system, pulsating to the rhythm of a beating heart - the human body is living machine. Our consciousness and everything that makes us, 'us' is a product of this machinery and when the machine stops - so do we. 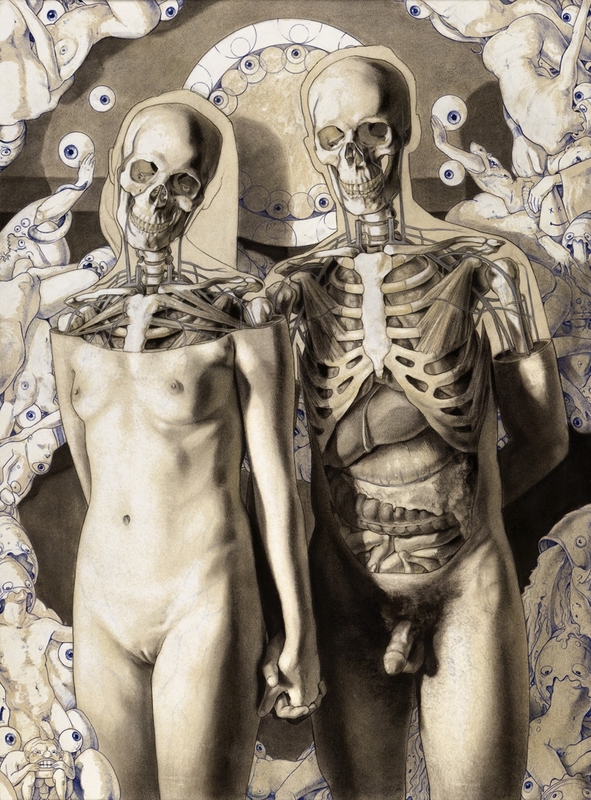 The title of this piece toys with the idea of Adam and Eve and how this throws up a very different view of the human body. However which ever view you take, both are unified in the fact that they find certain beauty in the human form. Soundcloud's audio compression has reduced the quality of the piece somewhat so please get in touch if you'd like a copy of the original file.